Robin Wright flashes a smile alongside her co-star Michael Kelly while promoting the sixth and final season of House of Cards at their 92nd Street Y panel on Wednesday (October 17) in New York City. The 52-year-old actress along with the executive producers Melissa Gibson and Frank Pugliese talked about what we can expect from the series finale before it hits Netflix on November 2. Robin Wright is all smiles as she makes her way into NBC’S Today Show studios in an all-black ensemble on Wednesday morning (October 17) in New York City. The 52-year-old actress talked about the sixth and final season of House of Cards, hitting Netflix on November 2. Robin‘s character, Claire Underwood, has finally seized the Oval Office, and Robin herself steps behind the camera to direct the finale episode. 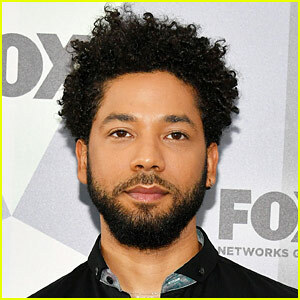 “It is going to shock you beyond belief, what happens in the end,” Robin expressed – Watch the interview below! Kevin Spacey is no longer starring on the show after numerous sexual misconduct allegations came to light. 'House of Cards' Final Season Trailer Debuts Online - Watch Now! The final season of House of Cards finally has a full length trailer…and it starts with everyone questioning Claire Underwood’s ability to lead! Robin Wright is returning for the final season as Claire, while Kevin Spacey is no longer starring on the show after numerous sexual misconduct allegations came to light. Diane Lane, Greg Kinnear, and Cody Fern are joining the season in new roles, with Jayne Atkinson, Patricia Clarkson, Constance Zimmer, and more also starring. House of Cards’ sixth season will debut on Netflix on November 2. 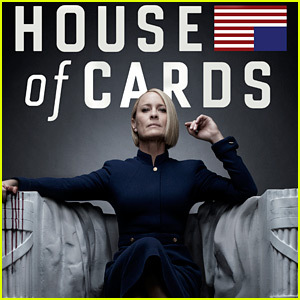 Robin Wright Says 'The Reign of the Middle-Aged White Man Is Over' in 'House of Cards' Trailer - Watch Now! Robin Wright stars in the teaser trailer for House of Cards‘ final season. Kevin Spacey’s character, Frank Underwood, has been killed off for the sixth and final season of House of Cards. A new promo was released moments ago showing Claire Underwood (Robin Wright) speaking to her husband’s grave. You then see Frank’s gravestone next to his dads gravestone. The final season is set to debut on Netflix on November 2. 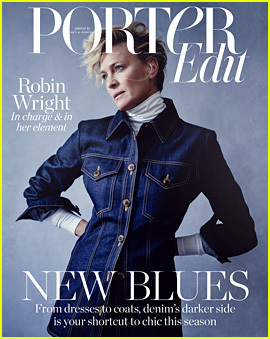 Robin Wright poses in her blues for the cover of PorterEdit‘s latest issue. For more from Robin, visit Net-A-Porter.com.